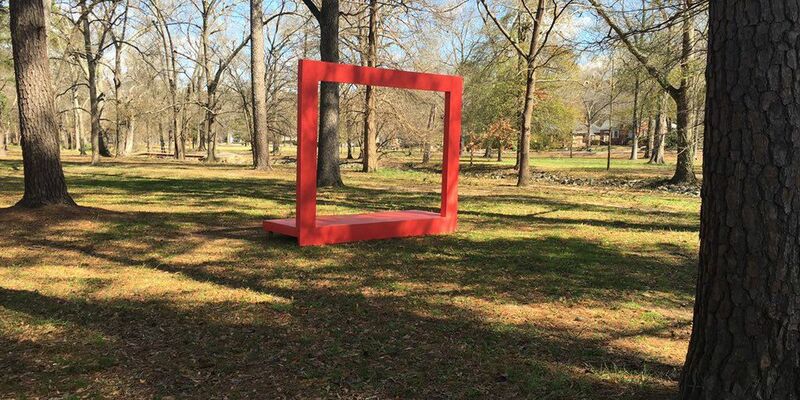 COLUMBUS, GA (WTVM) - A new interactive sculpture in Lakebottom Park is inviting people to step up and take pictures to show a little Midtown Columbus love. The sculpture, called the Photoplay, was commissioned by Midtown Inc. and erected on Feb. 19 in the southwest end of the park. The Photoplay is a part of the Artbeat 2016 celebration and the Minimum Grid project. The design was inspired by artist Jean-Pierre Pasche's Big Red Frame in Easthampton, MA and crafted by Midtown Columbus resident John Schwan. If you take pictures in the photoplay, make sure to use the hashtag #LakebottomPhotoPlay and #Artbeat2016. For a list of #ArtBeat2016 events in Columbus, you can click here.